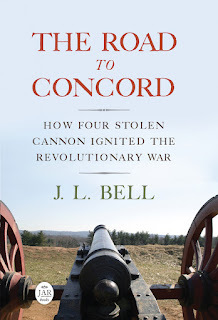 Boston 1775: Whatever Happened to Spado? Longtime Boston 1775 readers may recall when Gen. Charles Lee’s dog Spado (sometimes spelled Spada) first came to public attention. John Adams wrote a letter to his wife mentioning some of the British general’s eccentricities: “He is a queer Creature—But you must love his Dogs if you love him…” Through the poor choices of Benjamin Hitchborn, that letter fell into the hands of the royal authorities, who gleefully published it to embarrass their enemies. Abigail Adams therefore went to Medford Cambridge to mend fences with Gen. Lee. As part of that cordial visit, the general had Spado jump up on a chair and present his paw for Mrs. Adams to shake. About a year later, Lee was captured in New Jersey. Spado wasn’t with the general at the time—or if he was, the British raiders knew enough not to bring Spado along. Evidently Lee’s friends undertook to send Spado to the estate that the general had purchased in Virginia (now eastern West Virginia). I don’t think the dog had spent much time there, but it was the peripatetic Lee’s only home in North America. 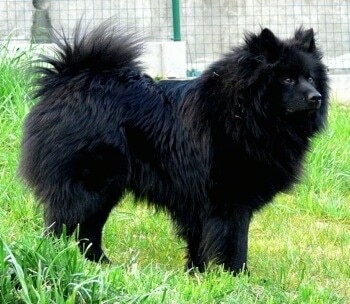 LOST or STOLEN, a very remarkable black shaggy dog of the Pomerania breed, called SPADO. He belongs to our brave but unfortunate GENERAL LEE, and was seen in the possession of a person who called himself JOSEPH BLOCK, at Wright’s Ferry, on Susquehanna, about the 25th of December last. It is supposed that BLOCK who pretended to have undertaken to carry him to Berkeley county, Virginia, has parted with him for a trifling consideration, or lost him on the road. Whoever gives information where the said dog may be had, or will bring him to the persons hereafter named, shall on the dog’s being produced, receive the above reward and no questions asked. Robert Morris, Esq; Philadelphia; Jo. Nourse, at the War-Office in Baltimore; or James Nourse, Berkeley county, Virginia. The same ad appeared in the Maryland Journal a week later and in several more issues of John Dunlap’s newspaper. For a financial comparison, the same page of the Maryland Journal offered a $20 reward for each of three Continental Army deserters. For animals, the promised rewards included $4 for three head of cattle, $3 for an eight-year-old horse, and $8 for a colt. So the reward for Spado was unusually high. I see by the news papers you sent me that Spado is lost. I mourn for him. If you know any thing of His Master pray Let me hear, what treatment he meets with, where he is confined &c.
On 7 March and for a couple of weeks thereafter, Alexander Purdie’s Virginia Gazette published the same advertising notice with slight punctuation differences, this one asking people with the dog to contact William Finnie in Williamsburg. Finnie (1739–1804) was a quartermaster during the war and the city’s mayor shortly afterward. But evidently Spado was gone for good. When Gen. Lee was finally released from captivity in the spring of 1778, his best companion was not there to greet him. And he was never as cheerful afterward. "I was very politely entertaind and noticed by the Generals, more especially General Lee, who was very urgent with me to tarry in Town and dine with him and the Laidies present, at Hob Goblin Hall [the Isaac Royall house], but I excused my self." Quite right—I didn't review that earlier posting closely enough. Abigail Adams’s letter makes clear that she met Spado at the house that quartermaster Thomas Mifflin was using, which was the Brattle house on Brattle Street in Cambridge (now owned by the Cambridge Center for Adult Education). I’ve corrected that in the posting. Thanks! Though of course we wish we knew that Abigail had visited "Hobgoblin Hall!"